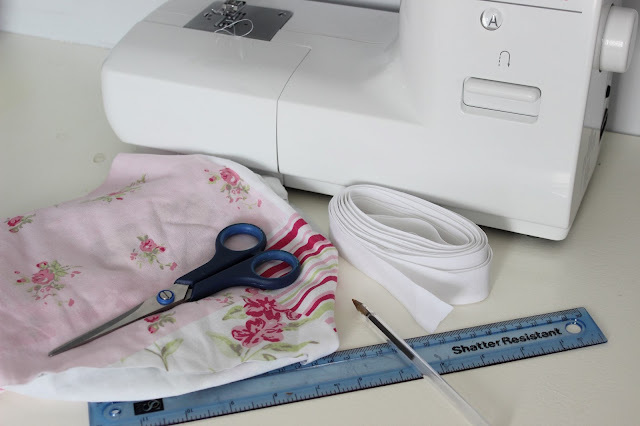 You Will Need: Fabric of your choice (I used an old duvet cover but you can use scraps), fabric scissors, a ruler, a pen or pencil, sewing machine, pins and binding. 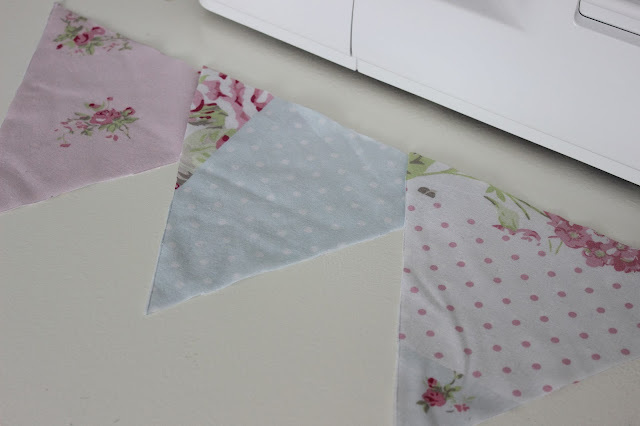 Step 1: Decide how big you want your triangles. I made the sides of mine 21cm which made the calculations fairly easy. Draw a straight line on your fabric with your desired length (mine 21cm), find the halfway point (10.5cm) and use the ruler to measure 18cm and make a dot, then draw from point to point. This is how I worked out how to draw my triangle. 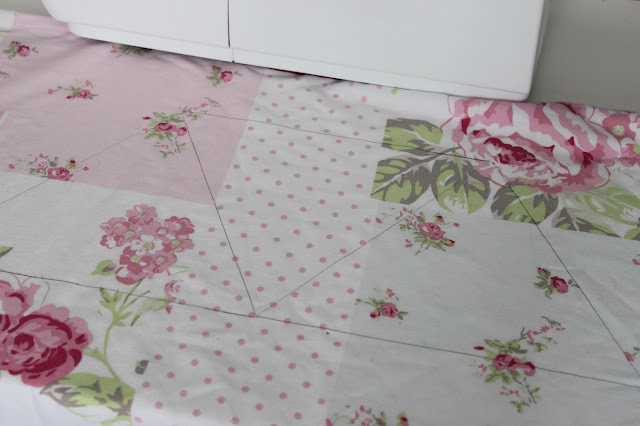 If you can cut out a triangle out of paper or cardboard you might find this easier. 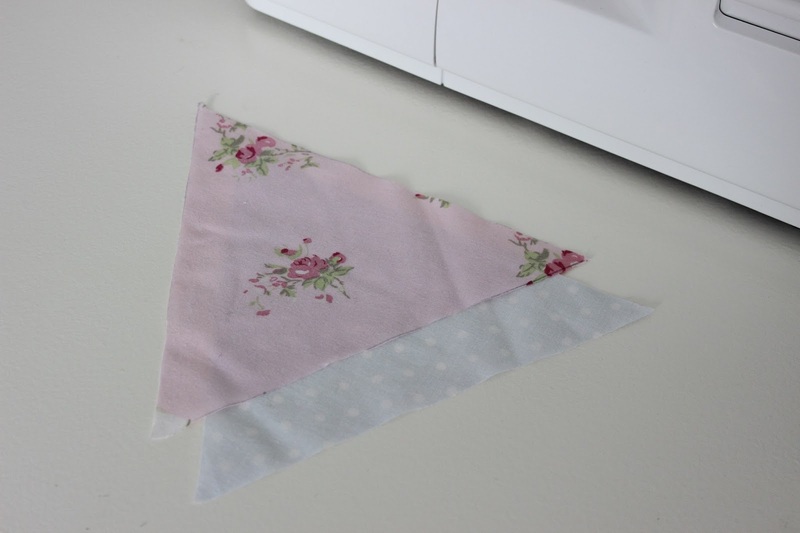 Step 2: You can measure out a few triangles using the sides of one another, this doesn’t waste any fabric. 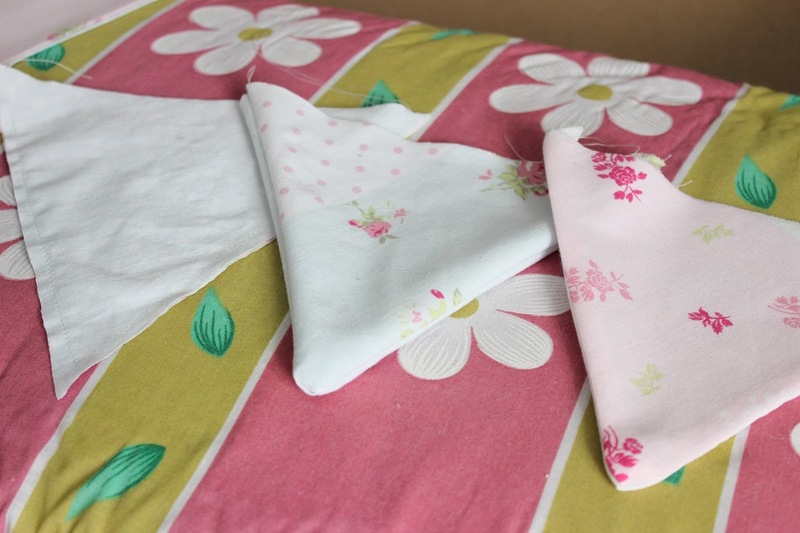 Step 4: As you can see, because I used a duvet cover, I already had two sides but you need to make sure you do too. If you aren’t using a duvet cover, fold a big bit of fabric in half so you get equal triangles cut out. 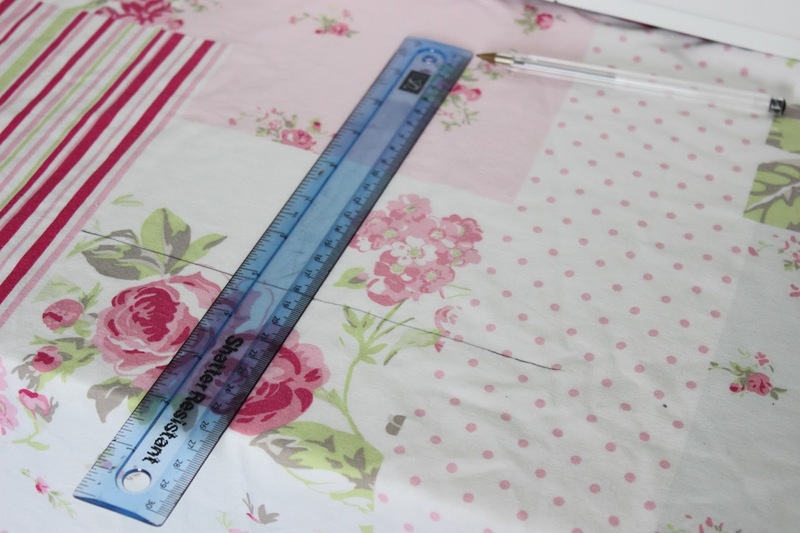 Step 5: Turn the fabric in on itself (inside out) and use the sewing machine to sew the edges of two sides together. Step 6: Turn the triangle back the way it should be; you can gently poke the scissors through to the end to get the point back. Step 7: Iron the triangles nice and flat. 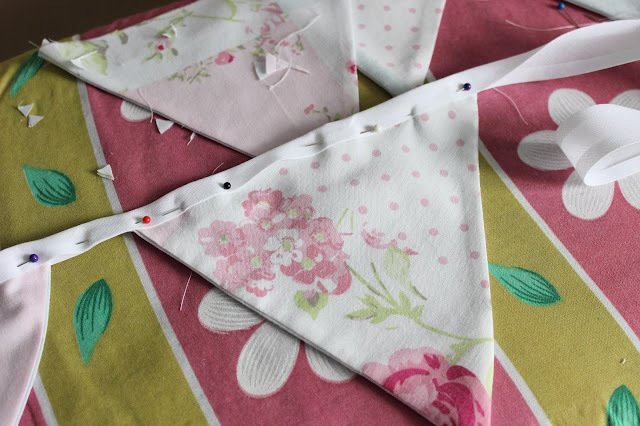 Step 8: Now you need to pin the binding to the top open edge of the triangle, fold the triangle in the binding (see picture). Leave a nice gap (or not if you prefer) between each triangle; make sure you measure this so it’s even. 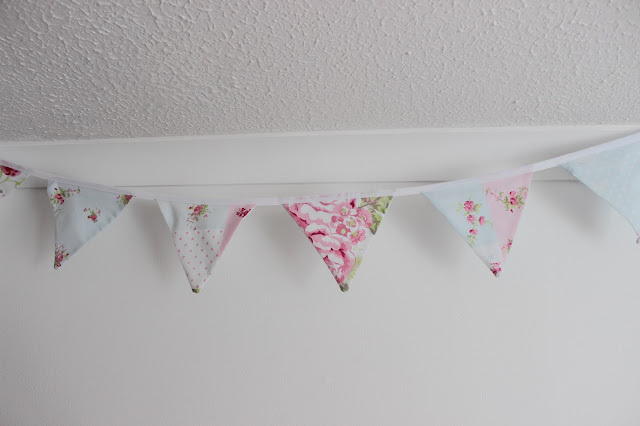 Step 9: Using the sewing machine, sew the binding onto the triangles and hang the bunting wherever you like! I used white drawing pins to secure mine. 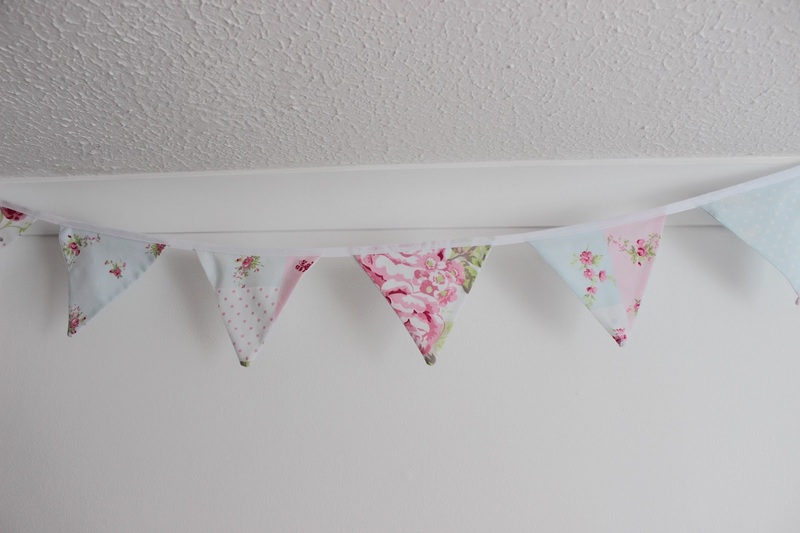 It might sound complicated but with a bit of patience and some help (my Mum did the sewing!) it doesn’t take too long at all and in my opinion, it’s well worth it. 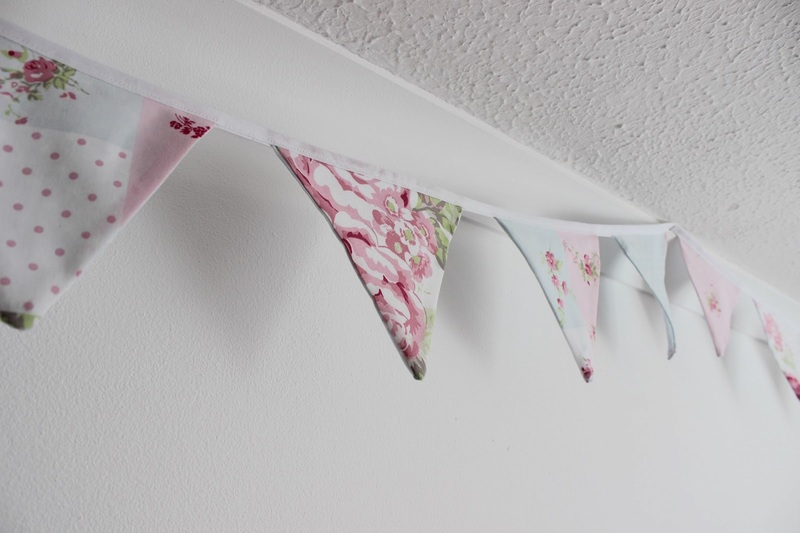 I’ve been wanting some bunting for a while but it’s pretty expensive and after seeing a few DIY tutorials, I decided to give it a go. Against my white wall I think it looks lovely and really gives something else to my room. I followed this video from BrideDeForce’s channel so if my instructions are too confusing, check that out.